"Big Break: Kaanapali" cast member Kim Welch got 2008 off to a great start: She finished second in the Futures Tour season opener, the Bright House Networks Open. In fact, she tied for first, getting into a 3-way playoff that Sunny Oh wound up winning. Welch was a star at Washington State University, winning 11 tournaments and posting 29 Top 10 finishes in her time there. 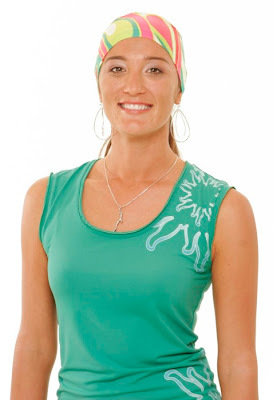 She turned pro in 2005, and played on the Futures Tour in 2006 and 2007. She also has competed in some long-drive competitions. Last year on the Futures Tour, Kim had five Top 10 finishes and wound up 21st on the money list. If the season opener is any indication, 2008 is the year in which Kim Welch makes the move into the Top 5 of the Futures Tour money list, securing an LPGA Tour card.